Queue George Michael’s 1990 Hit…FREEDOM! One of the best things that has come from our sons’ beginning at a new school is the stress it’s taken out of my life. For years our boys were struggling to keep up in class, an issue that was never more obvious than when they would pull out their homework. Every night was a battle. Homework that, according to their teachers and reports from friends whose children were in the same class, should have taken no more than an hour or an hour and a half each night took our boys upwards of three hours. There was non-stop whining, pleading, bargaining, and crying, and that’s without even mentioning how hard the boys took it. Five evenings out of the week (because, let’s face it, the weekend’s homework was not worked on slowly over two days but was instead busted out in one heinous rush on Sunday night), there was no peace in our house. Math assignments, book reports, and spelling troubled me more than any other thing in my life, including midlife crisis and the amount of time I had to wait for the next season of Downton Abbey. Those days are gone. In their place, we have creativity, laughter, and family time. Because the boys work so hard all day at school to overcome their learning disabilities and because the school understands that, our boys currently have a manageable hour’s worth of homework each night…with a little extra time needed when special projects are assigned. And as if the one hour limit didn’t provide me with enough solace, the school also offers a homework club each day after school. For a reasonable fee the boys can stay an hour after school and complete their work in a teacher-supervised classroom with other students. It’s pure genius. 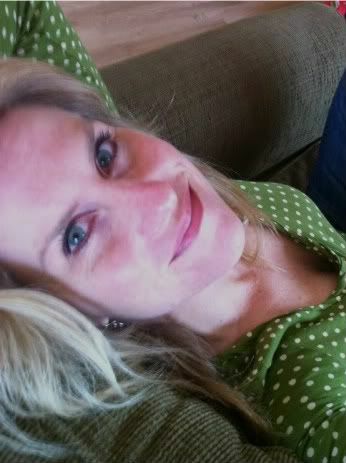 When I pick up my boys at 4 pm, they are finished for the evening. We are currently mulling over which outside activities they could do, like music lessons and tae kwon do, because they will at last have the time to partake. I’m giddy simply thinking about it. They are finally getting to experience what life has been like for their friends. I’m excited for them. It’s about time. In the meantime, our boys have taken their extra time to try new things and exercise their imaginations. Joe has been discovering graphic novels (books with more pictures than words that are perfect for dyslexic kids…get your minds out of the gutter, people) and Luke has been engaged creating the Museum of Cute. He’s using his iPad to print out photos of cute things, like teacup-sized Pomeranian dogs and mini pigs wearing rain boots, and organizing a collection, which he plans to tour our families through in a few weeks on opening night. Tonight there was an explosion of cute when he brought me this picture of a tiny, white Pomeranian with a mustache. 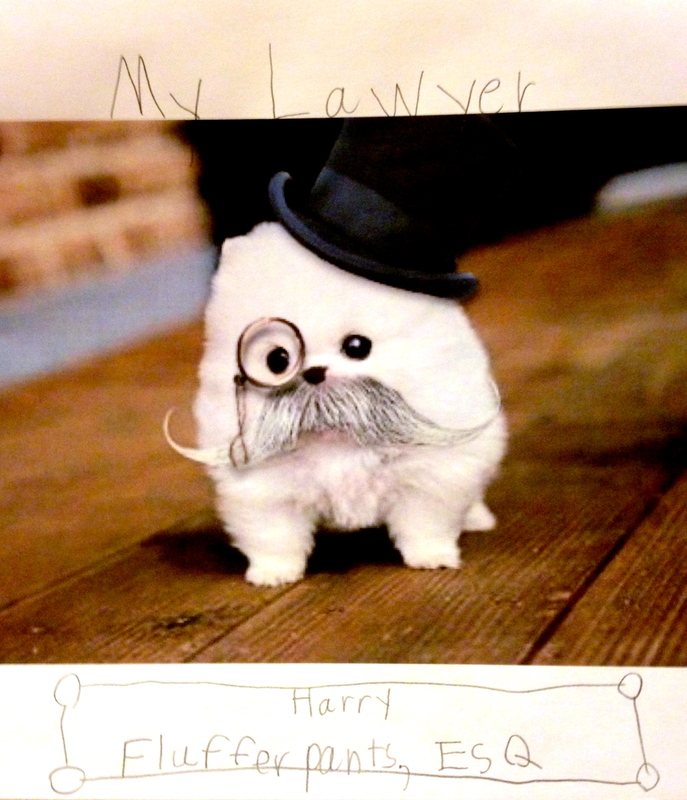 The photo is labeled, “My Lawyer, Harry Flufferpants, Esq.” I can’t make this stuff up. I also can’t seem to get the chorus from George Michael’s 1990 hit Freedom out of my head. Normally, this would be a problem for me, but I’m so relaxed after my new nighttime ritual mug of chamomile tea that I can’t even find the residual daily angst to care. I think my zen just got a bit closer. Oh my gosh! I’m so happy things are working out so well at the new school!! You all have calm and peace! It IS about time. You all deserve it. I may need to book a ticket to see that museum! So great to hear everything is working out for you and the boys! AND OMG!!! That lil pic is so freaking cute and hilarious that he made his occupation a lawyer! LOL! I’d love to see his whole book. Or please share a few more gems!